Pink is actually one of my personal favourite colours! Unfortunately, i don't get to use it a lot in designs as it is mostly a very feminine look. Even in children spaces, it tends to be a colour used more for younger children but why? Depending on how much you use of it or where you use it and what items it is used for, the room can have longevity and equally be good for a little baby girl, or a young tween or even teenager. 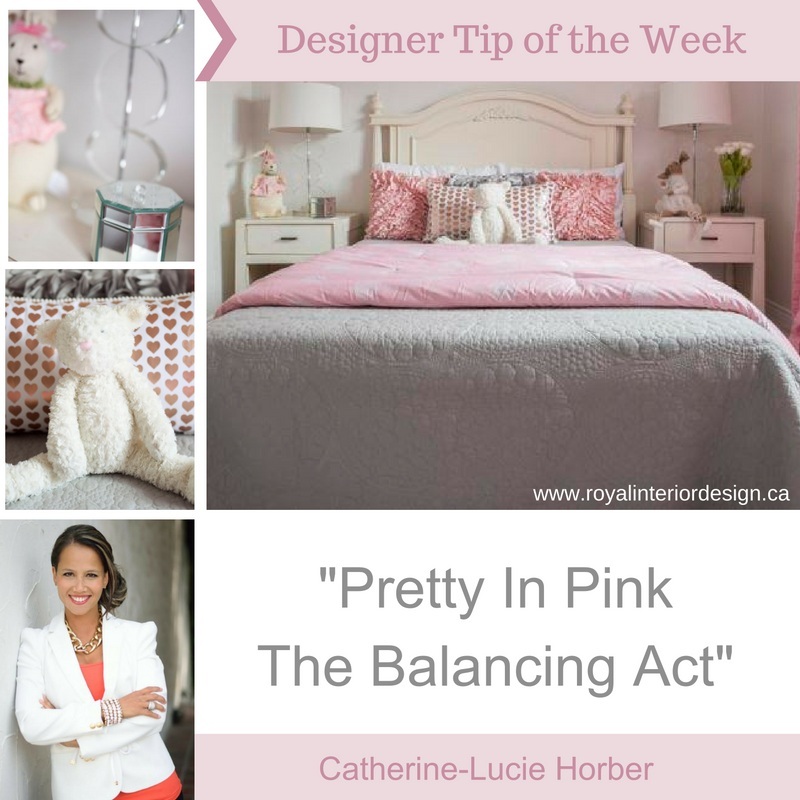 In this case, the pink "feeling" is very prominent in the room, yet when you carefully look at each element, the bedding is a neutral grey, the wall is a light beige, the furniture light cream, rug light grey only the drapery, a few pillows, a bunny and one throw are in pink, which are all items than can be easily interchangeable to an older accessory or different colour at any time. The trick is in the "Balancing Act" of what to use where.. and what quantity of it in order to achieve the perfect saturation and feeling that you are looking for. We love helping our clients find the perfect balance that best suits their style.